Lest you think Publicious is a stable of one-trick publishing ponies, only capable of rendering the creations of others onto screen and print, behold! Yes, we have a soon-to-be published author in our midst. 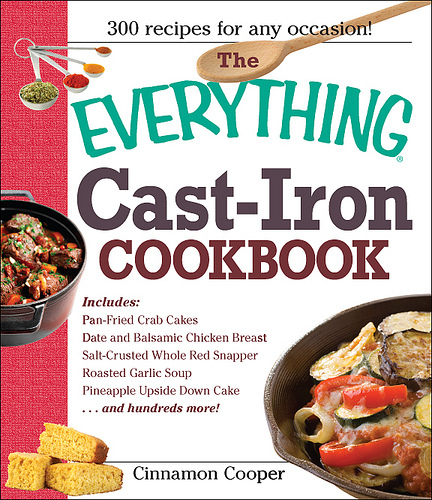 Read about Cinnamon’s upcoming book, The Everything Cast Iron Cookbook, at her blog, Poise. Yummy! And congratulations to my multi-talented friend. The book won’t hit the streets for a bit, buy you can pre-order it now at Amazon. At just over $10 it’s a steal. And if you order now, I’ll throw in some extra kerning for free.